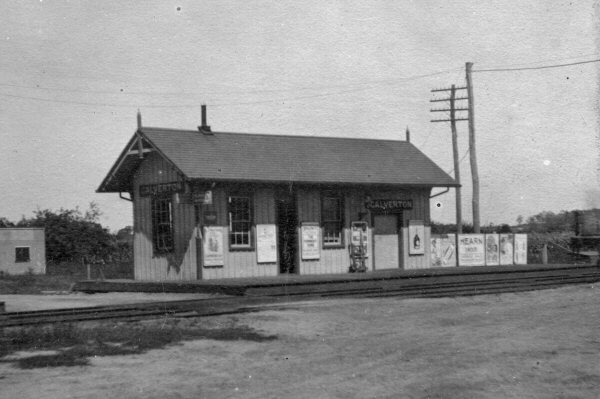 SSRR's Club House station, which was located just east of the Montauk Highway overpass west of Oakdale, across from the Connetquot Park which was the former location of the South Side Sportsmen's Club (hence "Club House" station). 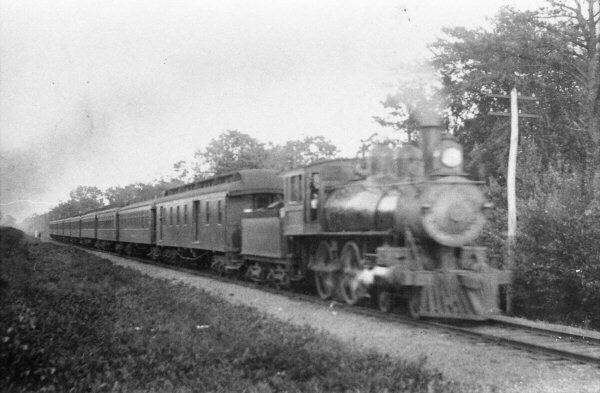 The view is looking east at SSRR MP45 (milepost). 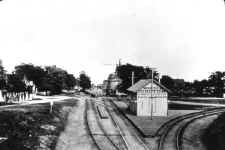 The Bayard Cutting Arboretum today would be at the right. When the LIRR took over the SSRR, they had to reset the mileposts, hence the slight variation in MP locations. 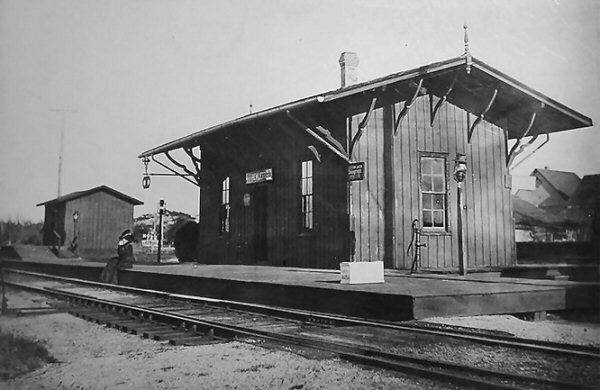 SHED / DEPOT OPENED: 8/1869. 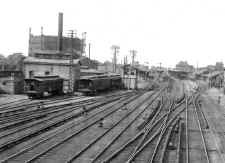 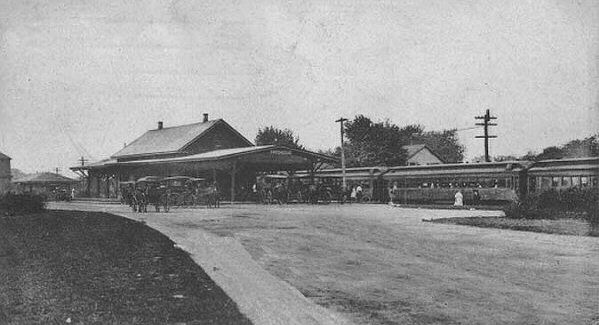 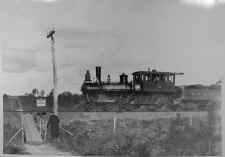 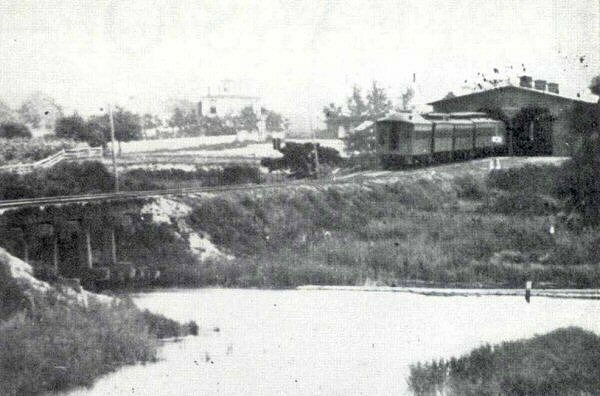 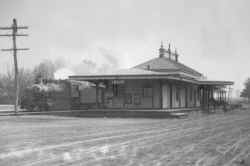 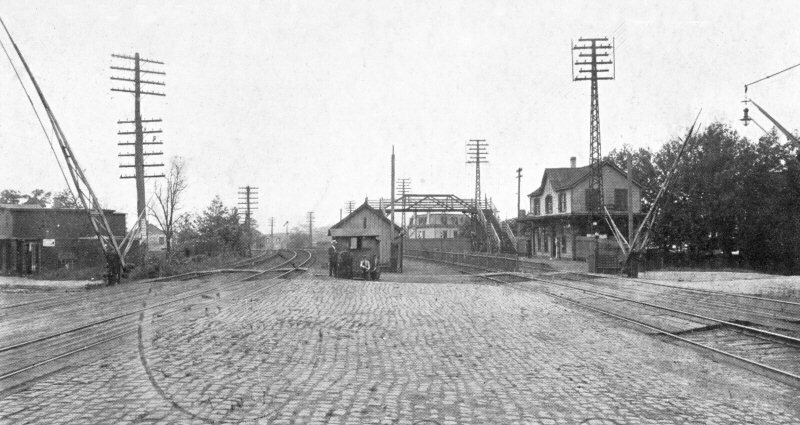 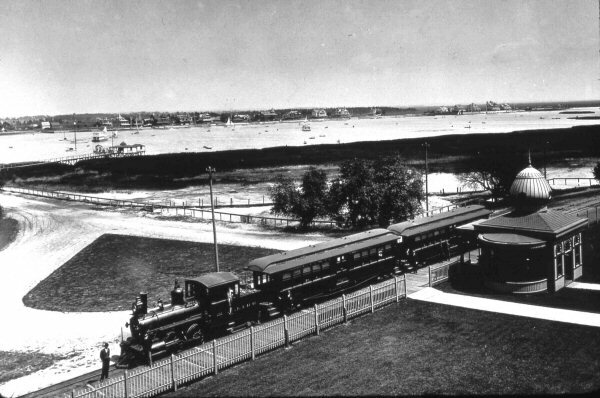 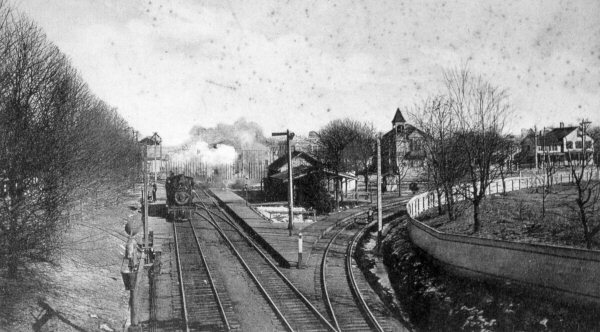 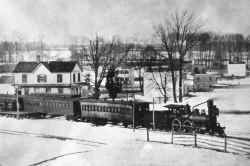 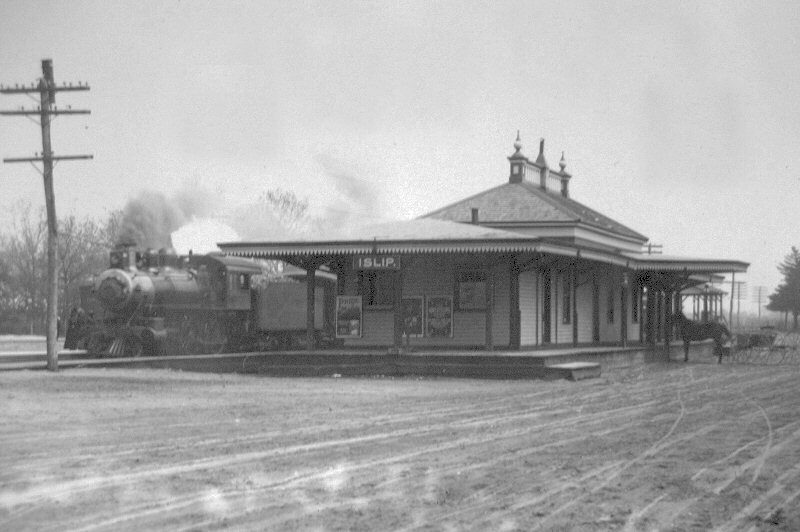 The original station that was constructed for the Flushing & North Side RR (train of which you see in the image), a competitor of the LIRR who eventually took over that line and turned it into their Port Washington branch. 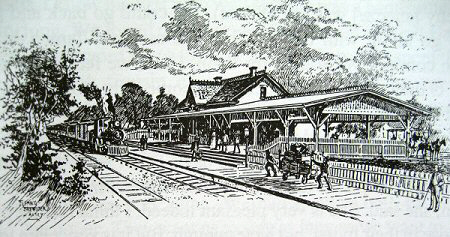 The depot was opened on 11/15/1869 so it's rather new in this image c.1872. 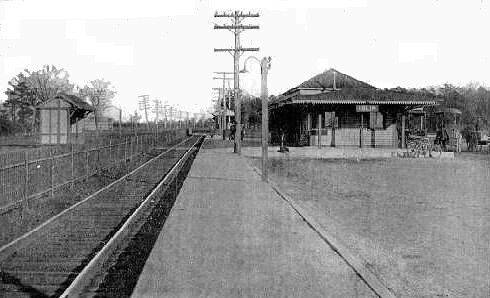 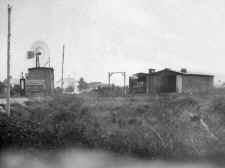 The depot lasted up until 1914 when it was closed with the grade crossing elimination project for the new and elevated location of Woodside that we all know today and which was opened for service on 10/17/1915 some distance east of the original station site. 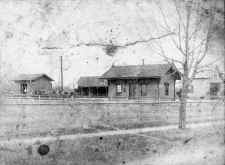 The original 1869 depot remained standing until it was razed on 11/17/15 after the new facilities were in use and the old station location cleaned up of construction debris. 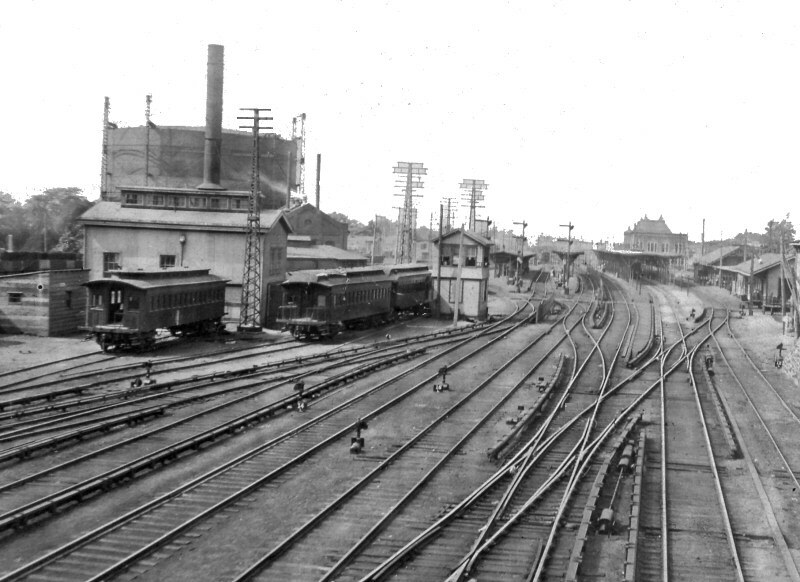 SOUTH SIDE OF TRACKS AND EAST OF WELLWOOD AVE. 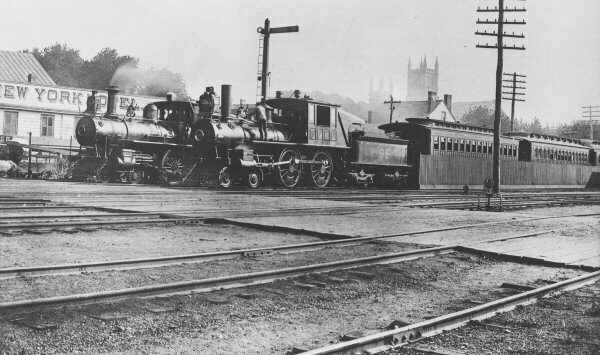 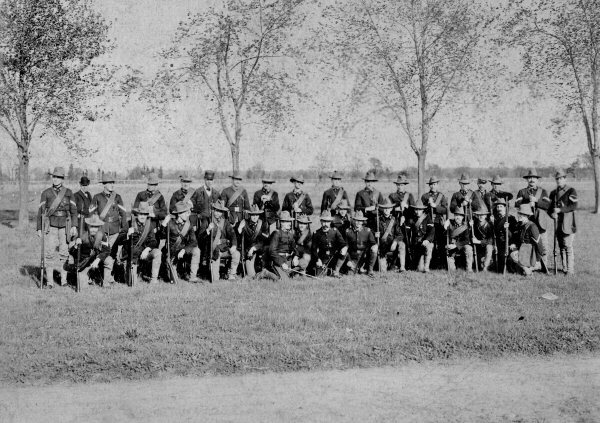 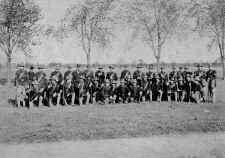 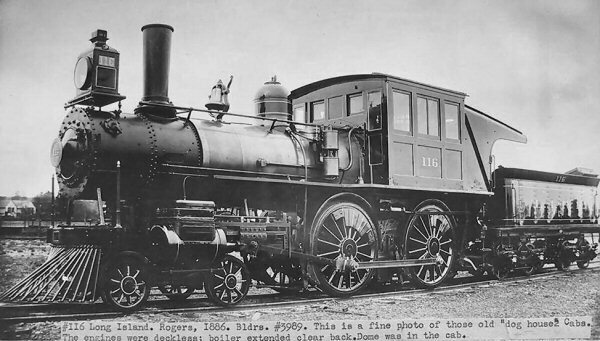 RENAMED "BRESLAU": 1869. 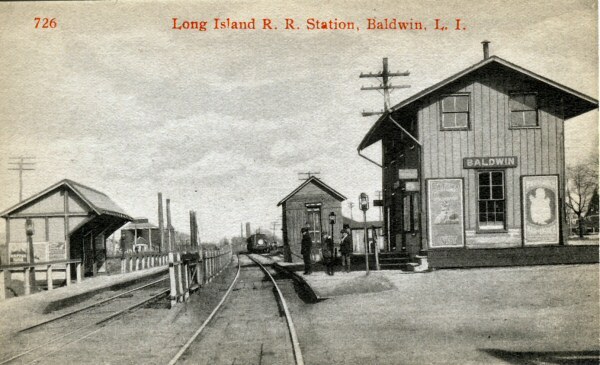 Station Lindenhurst SSRR Condr. 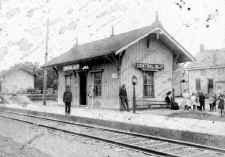 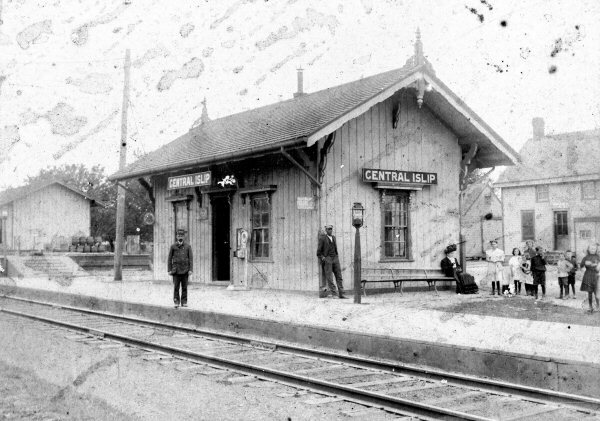 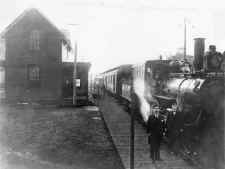 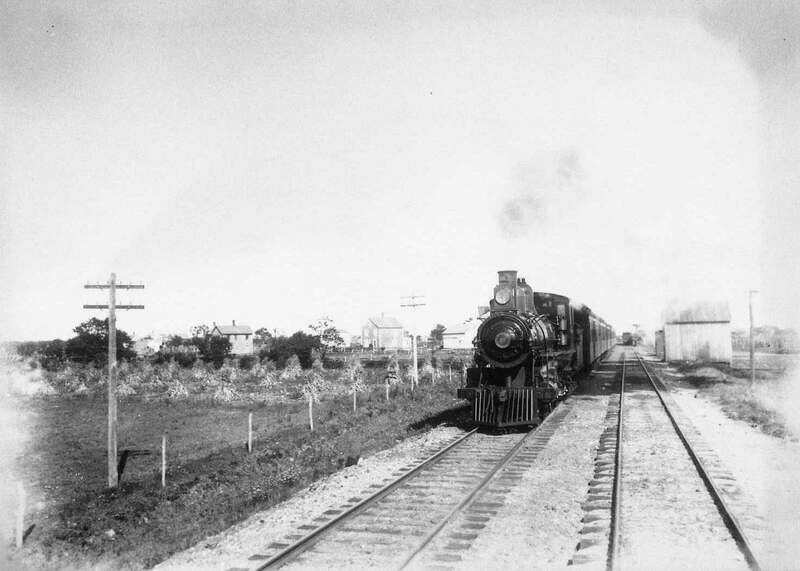 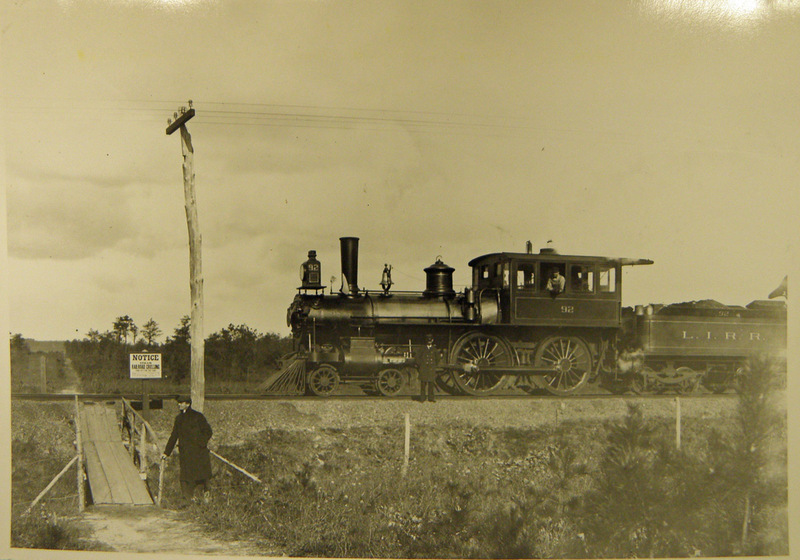 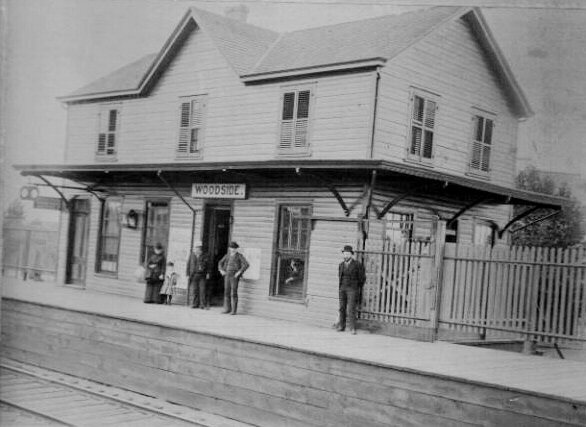 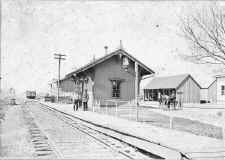 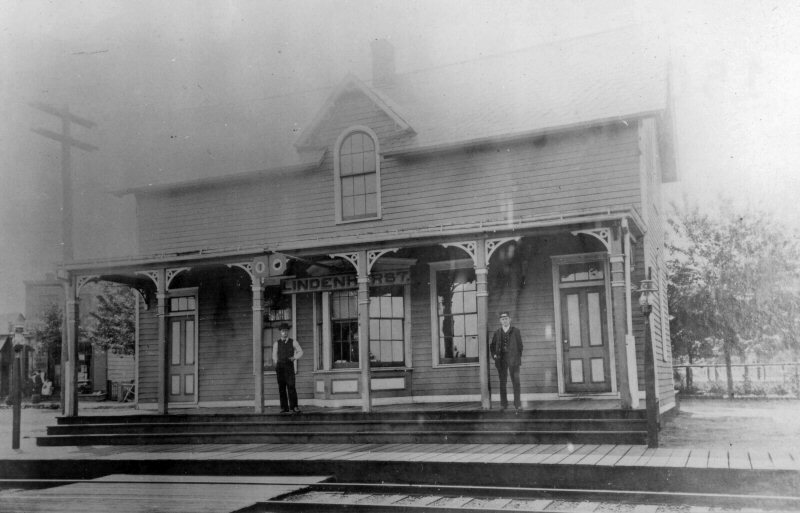 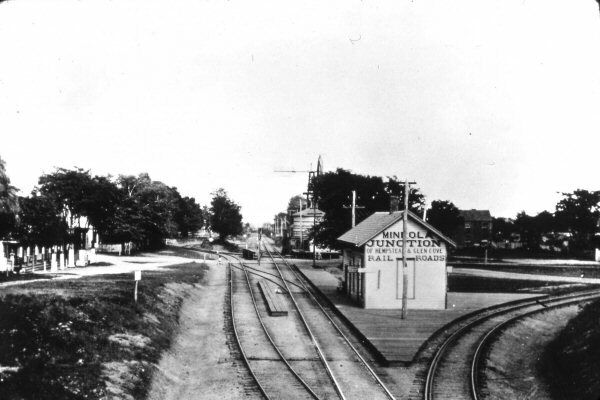 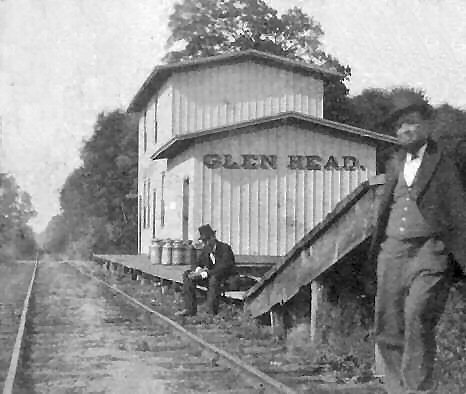 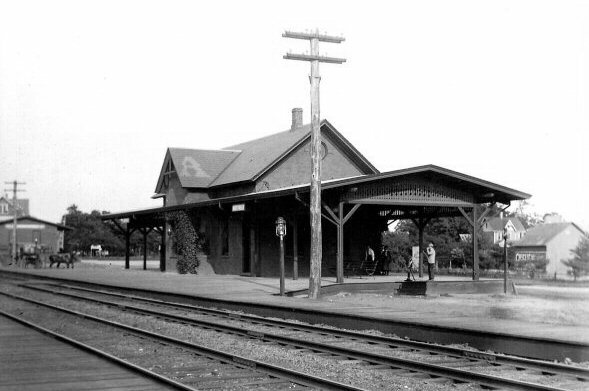 Burchill, Trainman Lawrence 1897 STATION NAME CHANGED TO "LINDENHURST": 1891. 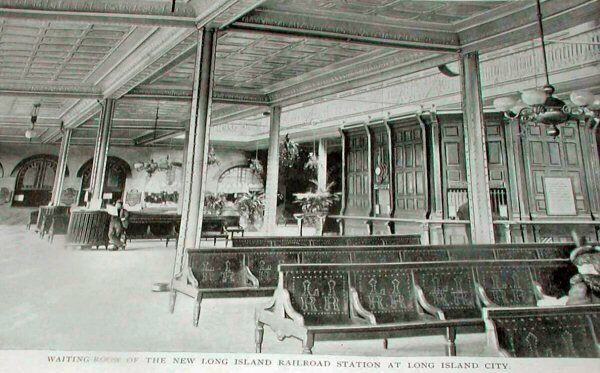 TICKET BAY EXTENDED TO FULL WIDTH OF VERANDAH-STYLE PLATFORM. 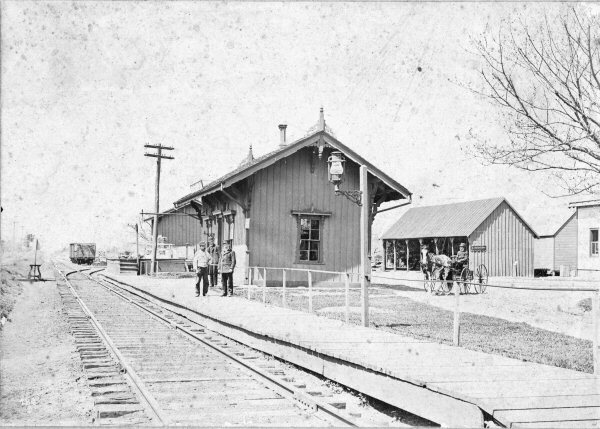 DEPOT DESTROYED BY FIRE ON 1/22/1901. 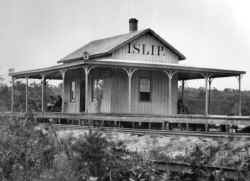 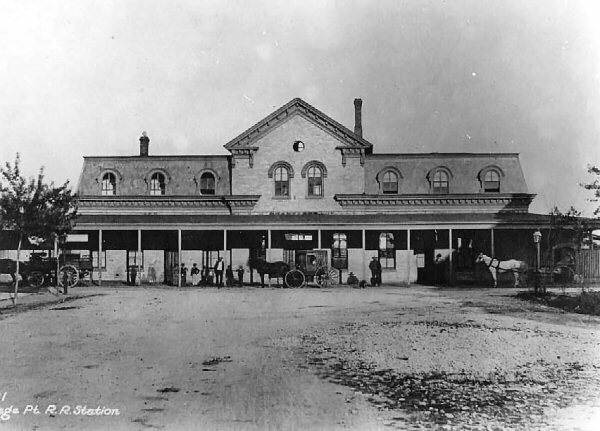 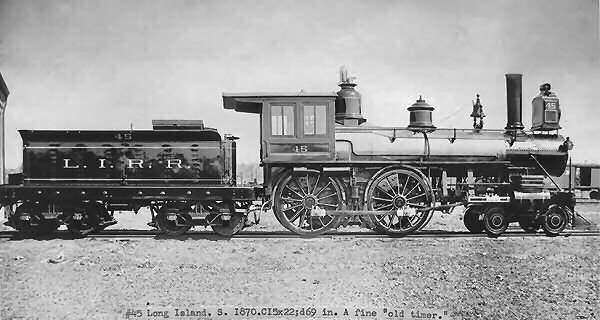 1st depot built: c. 1836 as terminus (“Old Jamaica”) of LIRR remodeled 1869 and 1872.